View from Casita. Photo from Four Seasons website. I've been to Scottsdale three times. Once years ago when a friend was there on business, then for a girl's weekend at Camelback and more recently when we stayed at The Boulders on the way to Sedona for a friend's birthday. 1) It's hot! I realize this is the reason most people don't want to come at this time of year. Now I'm going to resort to that predictable clique, "but it's a dry heat." The fact is I like the heat, and after the dull summer we've had in the Bay Area, I'd be happy to see the sun even if it is 108 degrees! Although it wasn't Mark Twain who said it it's more amusing to hear that, "The coldest winter I ever spent was a summer in San Francisco," than it is to live through it. I say bring on the heat. 2)There are lots of gorgeous places to stay that are affordable in the summer. If you like very hot dry weather this is the place to be. 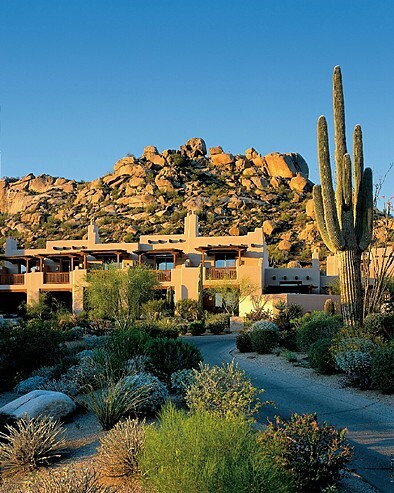 Some of the deals are almost unbelievable, for example The Four Seasons Troon North for $129 per night. There is no resort fee and if you book through I preferred travel agent (Four Seasons Preferred Provider or Virtuoso) you'll get an upgraded room, two American breakfasts daily and one lunch per stay worth up to $85. Yes, you pay the $129 rate and get all the extras without paying anything more to go through the travel agent, you can't book this on your own, really! You can see all the best summer deals (with details of the free travel agent extras) at Topher Travel. The Four Seasons is relatively small with 210 rooms and offers an adults only pool. Overall it looks intimate, stylish and relaxed. Built in the casita style, (like the Boulders) the rooms start at a comfortable 480 sq.ft. The Golden Door Spa at the Boulders was wonderful and looks far more impressive than the equivalent at the Four Seasons, but I'm looking forward to trying a new property. 3) If you don't want to shop, and you've seen Frank Lloyd Wright's Taliesin West, there isn't much to do. 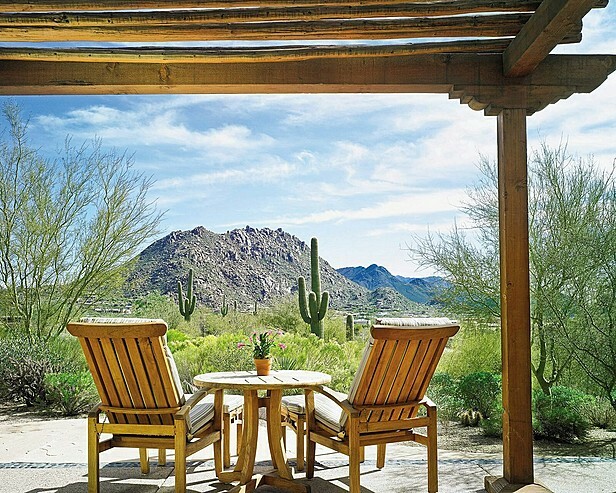 You could summon up the energy to visit the Heard Museum or the Botanical Gardens but in 108 degree weather the best thing to do is lie by the pool, which is why you're in Arizona in August! 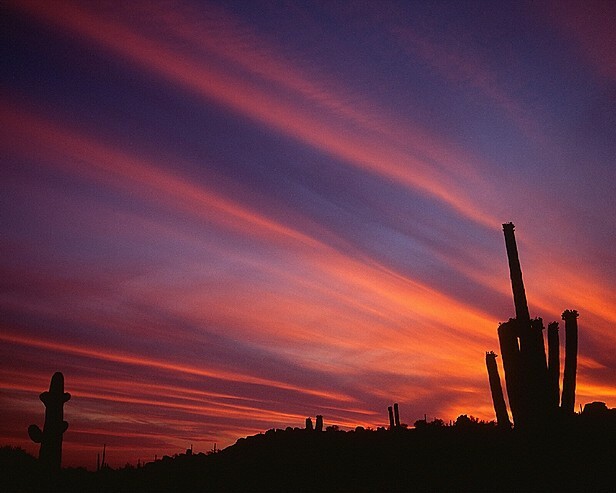 Tip: A comprehensive list of the special summer rates at all the resorts can be found on the Scottsdale Convention and Visitors Bureau website here.